More pictures will follow soon, but for now, a great big thank you to all who have been so kind and generous in their support! The weather was fantastic, the views were stunning, hanging out of a plane puts your heart in your mouth, and flying through the sky for the Jubilee Appeal is worth it! A short film has been made of the occasion and will be sent to Fr Liam in the next 8 days. Once it’s arrived in the parish there will be a showing after the Sunday Masses! The top speed was about 130mph. The free-fall time was about a minute. The controlled parachute descent was for about five minutes, from 7000ft! 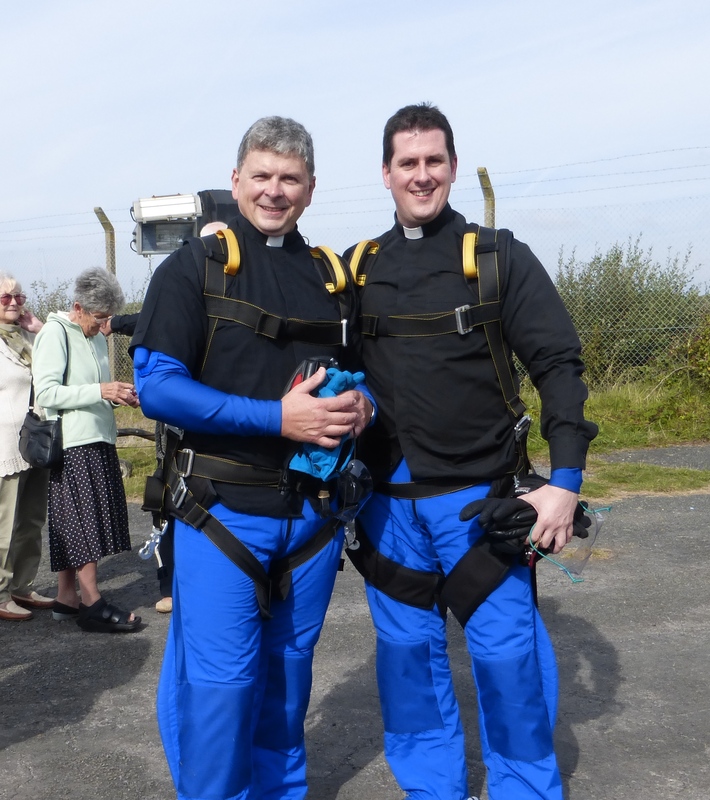 This entry was posted in Uncategorized and tagged Fr Liam, Fr Mansel, Jump, Menevia Jubilee Appeal, Skydive on September 13, 2014 by stdavidandstpatrick.